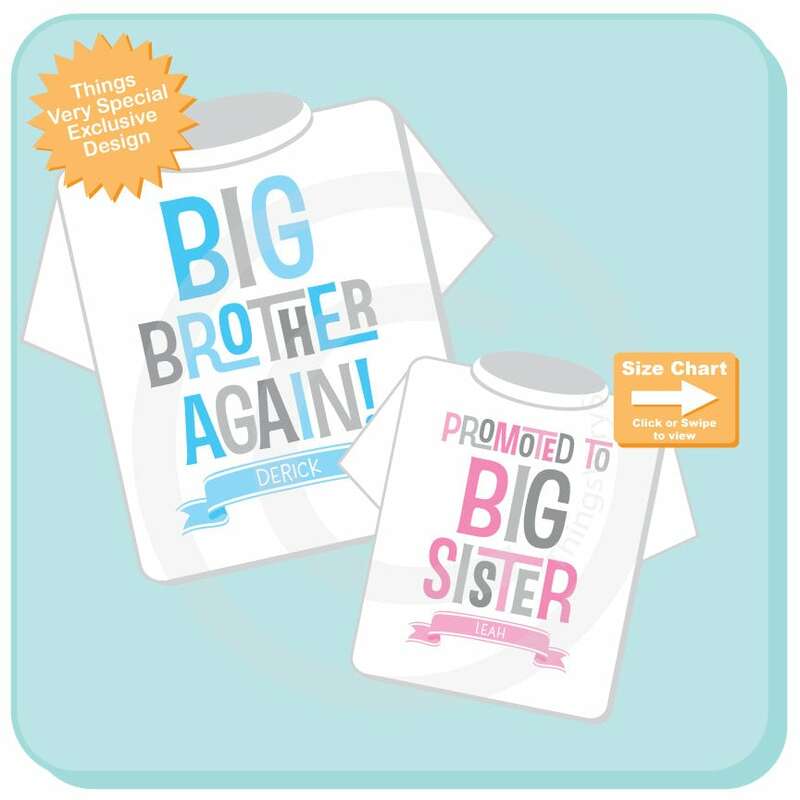 Sibling Set of two, Big Brother Again Light Blue and Grey Text and Promoted to Big Sister Pink and Grey text on either a tee shirt or Onesie for each child. This listing is only available for this exact set. 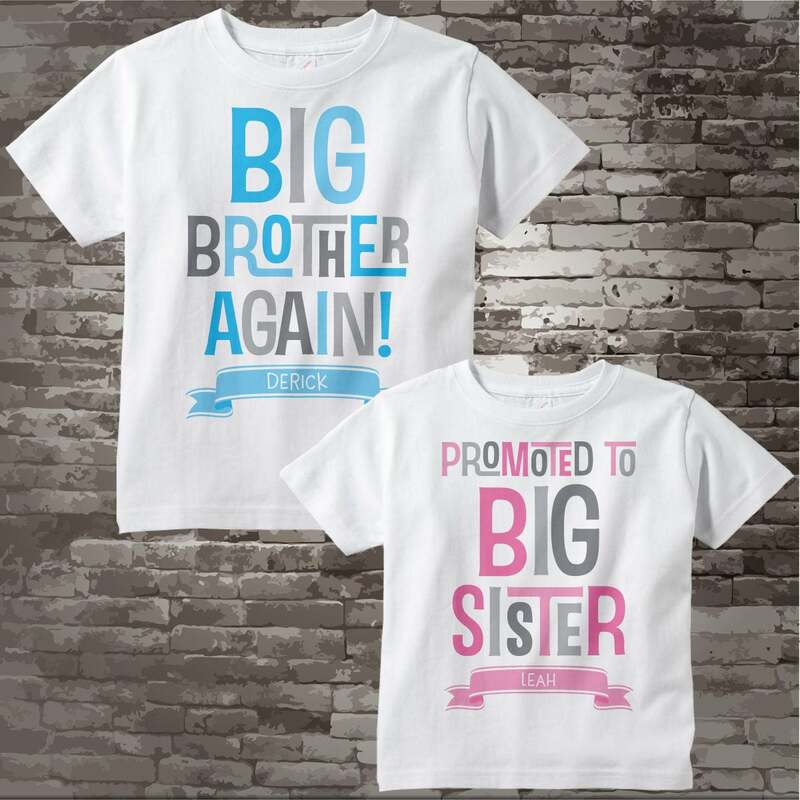 No changes of wording are accepted. Please let me know the names for each in the notes box at checkout.